Reach Thousands of Visitors To Livingston County This Summer! 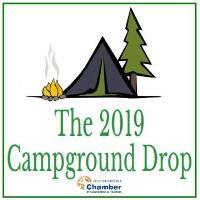 The Livingston County Chamber of Commerce Tourism hosts a Campground Drop annually, allowing local businesses and organizations the opportunity to reach campers visiting the County this summer. Join us as we celebrate with Bellissimo Boutiques, in Caledonia NY, as they celebrate their one year anniversary with a ribbon-cutting ceremony with the Livingston County Chamber of Commerce Tourism on Friday, May 3, 2019 at 6 pm. Blue & Gray Dance with "City Fiddle"
Join us for the members-only Chamber Coffee Connection - Because you don't know who your next best contact is! Our signature networking event takes place the 3rd Tuesday of each month from 8:30 - 9:30 am. Warbler Walk - Rare Species.